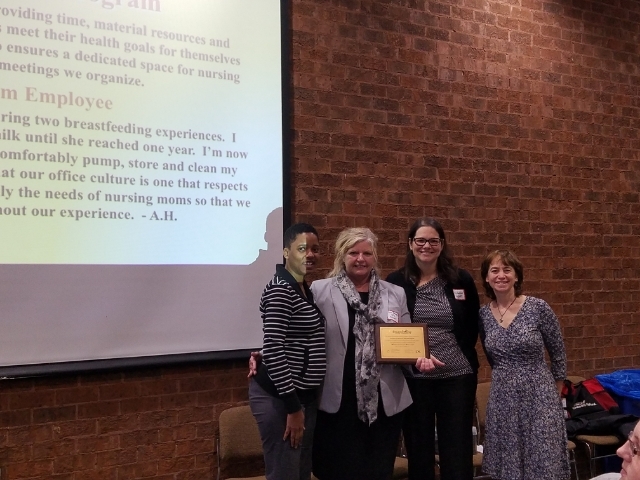 Gold Level Workplace Award AMCHP supports nursing moms by providing time, material resources and emotional support. They help employees meet their health goals for themselves and their children. 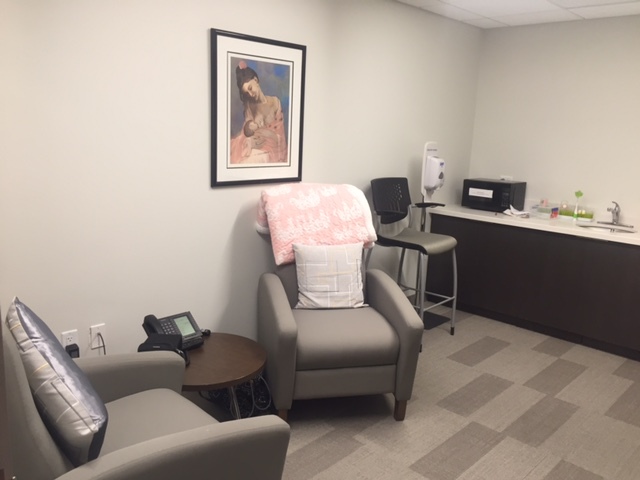 The organization also ensures a dedicated space for nursing mothers at conferences/meetings we organize. The support has been essential to me during two breastfeeding experiences. I provided my older child exclusive breastmilk until she reached one year. I'm now currently nursing my 7 month old and comfortably pump, store and clean my parts during my work day. 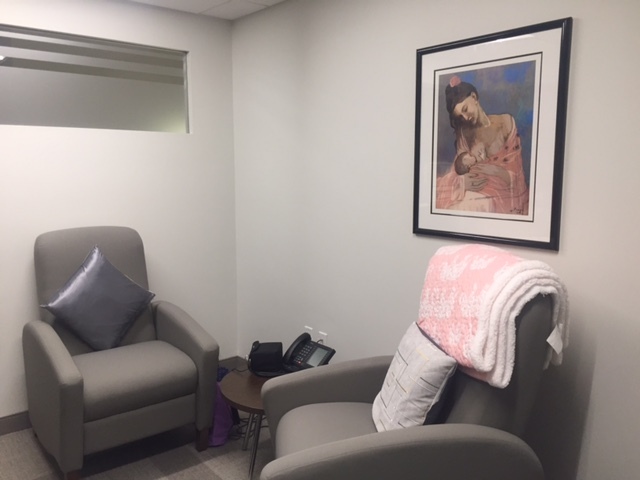 I appreciate that our office culture is one that respects the break times needed and discusses openly the needs of nursing moms so that we feel highly supported throughout our experience. 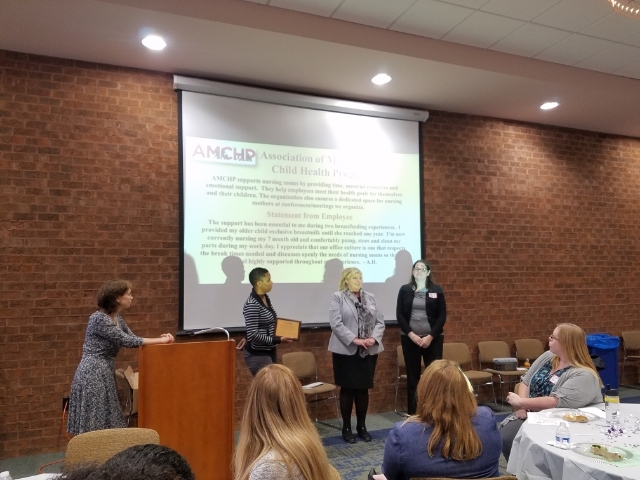 - A.H.
AMCHP's policy made transitioning back to work easier. Not only is there a comfortable, dedicated space to pump, but the policy also helps me feel comfortable in taking the time to pump each day. I don't feel that I am a burden or asking for special accommodations; in fact, the policy helps me feel further supported and that the importance of breastfeeding for myself and other moms is shared and prioritized organization-wide. -K. T.